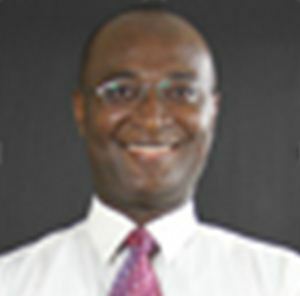 Dr. Gabriel Akyirem Akowuah is currently Associate Professor of Pharmaceutical Chemistry and the Head of Pharmaceutical Chemistry Department of the Faculty of Pharmaceutical Sciences at UCSI University, Kuala Lumpur, Malaysia. Dr. Akowuah received his Ph.D. from the Faculty of Pharmaceutical Sciences of the Science University of Malaysia in 2005 majoring in Pharmaceutical Chemistry. Dr. Akowuah is Author of over 50 publications and 30 presentations in various areas of pharmaceutical, phytochemical and biomedicalanalyses, toxicology, pharmacokinetic and bioavailability studies. Years of working as Head of Pharmaceutical Chemistry Department at UCSI University has provided him the capacity to supervise the academic and administrative work of the department. He has proven the ability todevelopundergraduate and postgraduate teaching materials of thecourses under the Department, supervise the assessment of undergraduate and postgraduate courses, supervision of research projects and acquisition of research grants. He instructs organic chemistry, medicinal chemistry, and pharmaceutical analysis at undergraduate level. He also instructseparation science and spectroscopic methods, at Postgraduate level (M.Sc in Pharmaceutical Chemistry). He has served as an external examiner to evaluate a number of Ph.D Thesis in Pharmaceutical Chemistry. 2. Akowuah, A.G., Zhari, I., Norhayati, I., Sadikun, A. (2005). The effect of different solvents of varying polarities on polyphenols of Orthosiphonstamineus and evaluation of free radical scavenging activity.Food Chemistry, 93(2) 311-317;doi:10.1016/j.foodchem.2004.09.028. 4. Akowuah, A.G., Zhari, I. (2008). Determination of betulinic acid from Orthosiphonstamineusleaf extract in rat plasma. Die Pharmazie, 63, 788-790. Doi: 10.1691/ph.2008.8596. 5. Akowuah, A.G., Zhari, I., Mariam, A.(2008). Analysis of urinary andrographolides and antioxidant status after oral administration of Andrographispaniculata leaf extract in rats. Food Chemical Toxicology, 46, 3616-3620; doi.1016/j.fct.2008.09.008. 7. Thet, T. H.,Akowuah, A.G. (2009).Global medicinal plants with anti-HIV activities. Compendium of Bioactive Natural Products Vol. 1: Potential & Challenges. Editors: J.N. Govil, V.K. Singh, C. Arunachalam, Studium Press LLC: Houston, pp 1-9. 8. Akowuah, A.G., Zhari, I., Mariam,A., Yam, M.F.(2009). Absorption of andrographolides from Andrographispaniculata and its antioxidative effect in erythrocytes of rats exposed to CCl4.Food Chemical Toxicology, 2321-2326; doi.1016/j.fct.2009.06.022. 9. Daker, M., Lin, V.Y.,Akowuah, G.A., Yam, M.F., Ahmad, M. (2013).Inhibitory effects of Cinnamomumburmannii Blume stem bark extract and trans-cinnamaldehyde on nasopharyngeal carcinoma cells; synergism with cisplatin.Experimental and Therapeutic Medicine, 5: 1701-1709; doi.10.3892/etm.2013.1041.